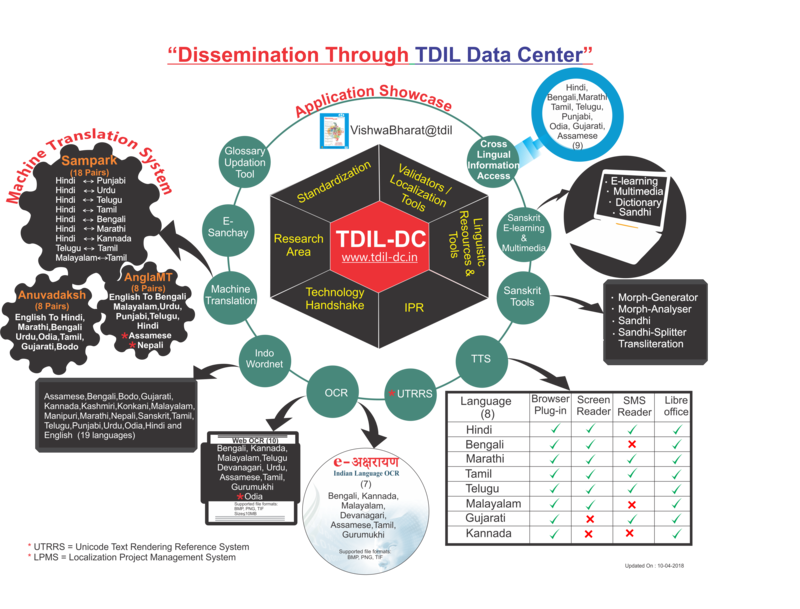 This information is for users to guide them step-by-step through all the features portal has to offer. 1. List of Features Available on Portal? New portal aims at providing easier access to Indian language tools ,language technologies, linguistic resources,standards etc. Nation Repository of Indian Language linguistic resources, applications, language technologies, fonts, dictionaries & tools. Facet Search for quick search on the portal. 2. How to Download Linguistic Resources & Tools for Educational & Research purposes? Follow the steps below shown in the figure. 3. How to Upload Resources & Tools? 4. How to Search & Download Resources? 1. Global Search using Sticky Search Bar : It is located on the center of portal sticky top menu. To search ,type the word, phrase, or resource name you’re looking for & click go button. 2. Facet Search: Quick way to browse and drill-down through portal's resources & tools. It allow user to access information based upon classification. The defined facets will allow the user to filter data. Go to left side of top menu bar & click Download button or Click here. This click will take you to the search page. Now on the left portion of search page,you will find three types of search options. 2.1 Search By Keyword: Fully-featured search box with typeahead (suggest or autocomplete) which allow user to search by author,title or any keyword. Enter specific keywords that you want to search into the search text box labeled "search." As you search, Box will provide you a list of suggested results in a drop down menu. 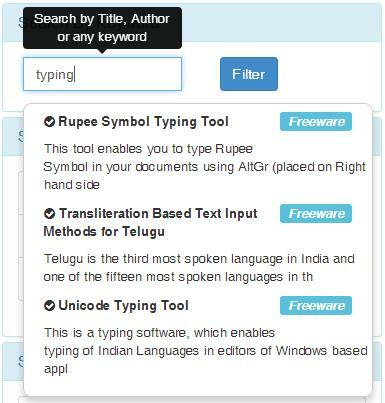 For example, you want to search Indian Language typing tool type "typing tool" keyword in the search text box. You find a displays suggestions box as you type as show in the picture below. Now press filter button to find the matched result. You’ll see a page with results on the right and potential matches in yellow & collection of facets on the left. 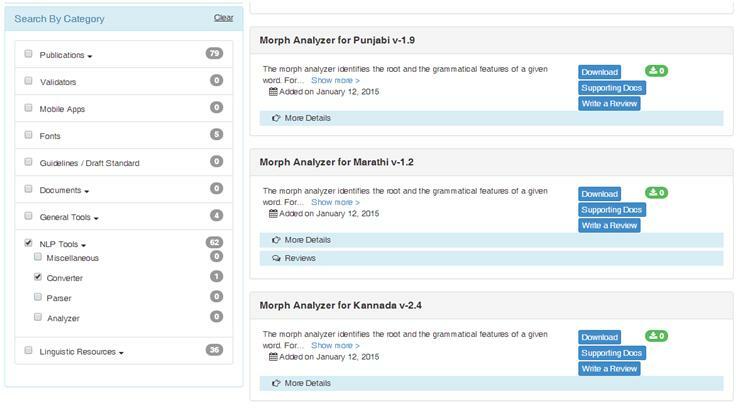 2.2 Search By License Type: There is a option to filter resources by license type.The portal has three types of license i.e freeware,shareware,research. Press "Filter" to find the resources under particular selected license type. 2.3 Search By Category : Well-defined category of resources to make search more accurate and fast. This feature allow to search resources by category. Note: Simply click the (-) before each tag name to remove it, or click the clear button to clear the entire search.